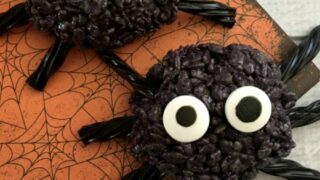 These easy to make Spooky Spider Treats will be a huge hit with your little – and big – witches and ghosts! 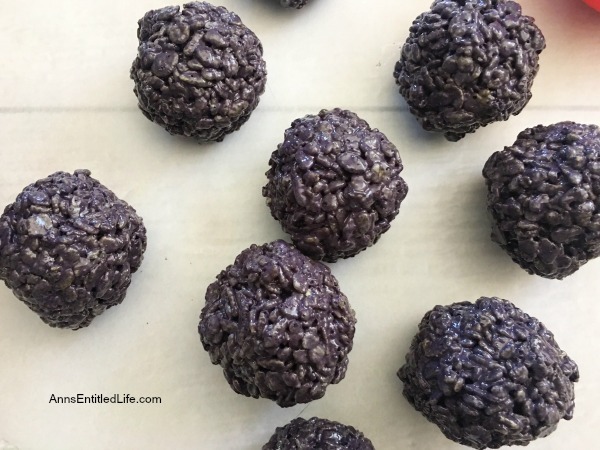 Perfect for lunchboxes, parties, and afternoon snacks, these spider treats are easy to make and taste so good! 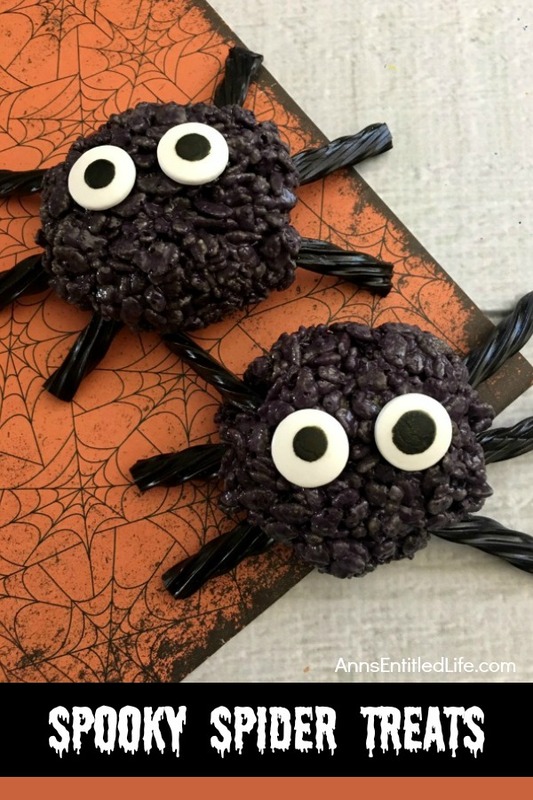 How about these awesome halloween spider cookies – treats, crispy cookies, whatever you would like to call them! Halloween themed food for October is huge in the lunchbox – kids and adults alike! 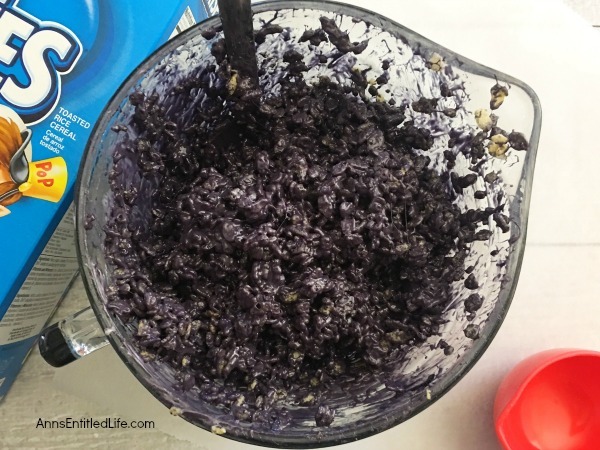 Oh come on, you know you make special Halloween food recipes to take into work – either for yourself or to share with the office. 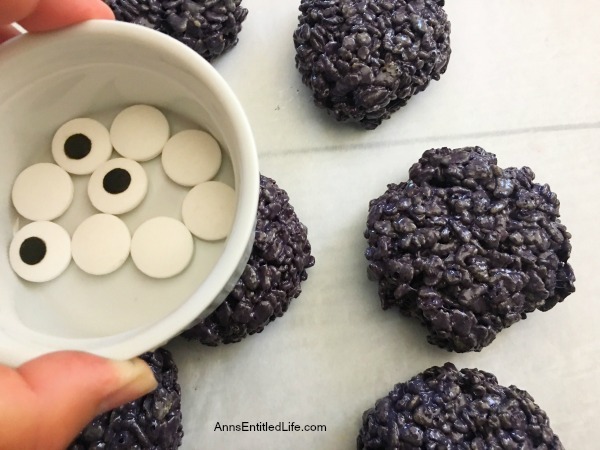 And, these easy to make spider cookies are a fun spooky food everyone will enjoy. 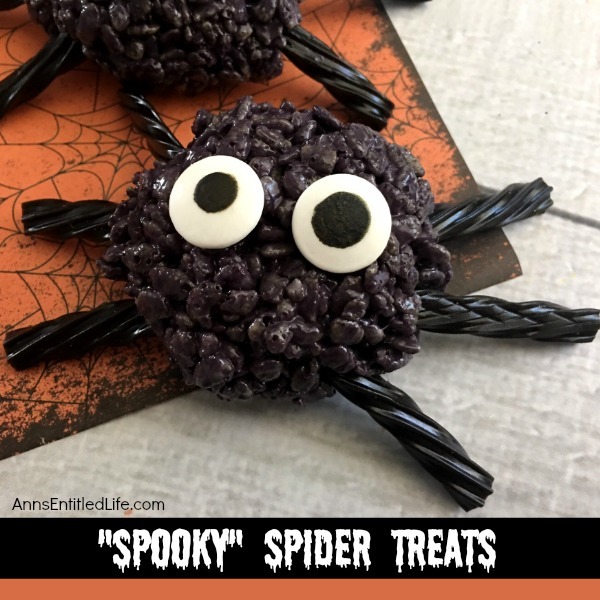 So whether for the lunchbox, an after school (pr after work) snack, to share at a Halloween party, or just because, you and your kids will love these fabulous Spooky Spider Treats this Halloween season. • Stir well until the marshmallow and butter are mixed together. 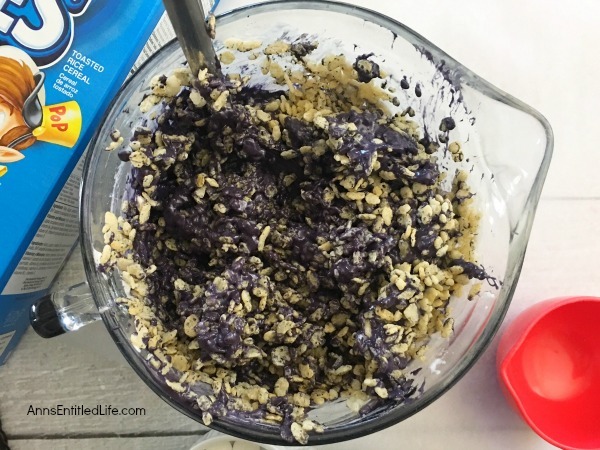 • Add in several drops of food coloring; mix well. 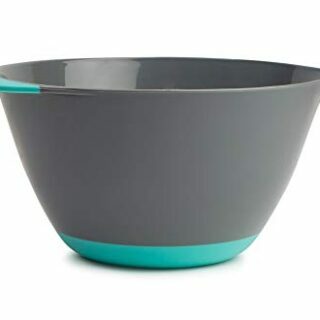 • Mix in your crispy rice cereal with a long metal spoon until the cereal is coated. • Lay out a piece of parchment paper and grease the outside of two sandwich bags with butter. • Place your hands in the sandwich bags and use the sandwich bags covered hands to form the sticky crispy rice mixture into small balls slightly larger than golf balls. 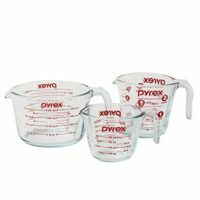 • Slightly flatten the balls onto the parchment paper by pressing them with the bottom of a bowl. 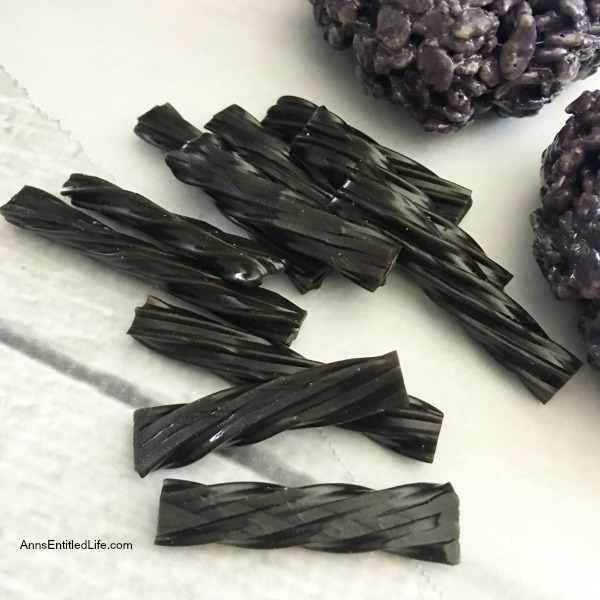 • Use a pair of clean kitchen scissors to cut the black licorice into thirds and place 3 cut pieces into each side of the flattened crispy rice balls. 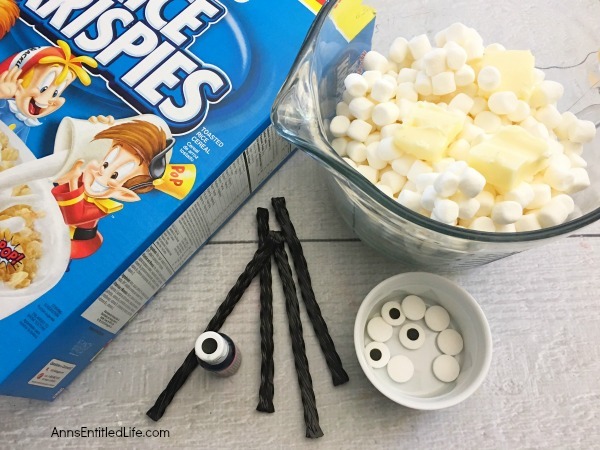 • While the marshmallows are still sticky, place 2 eyes onto the top of each crispy rice spider. These fun and spooky Spider Cookies are delicious Halloween treats all your little ghosts and goblins will enjoy. 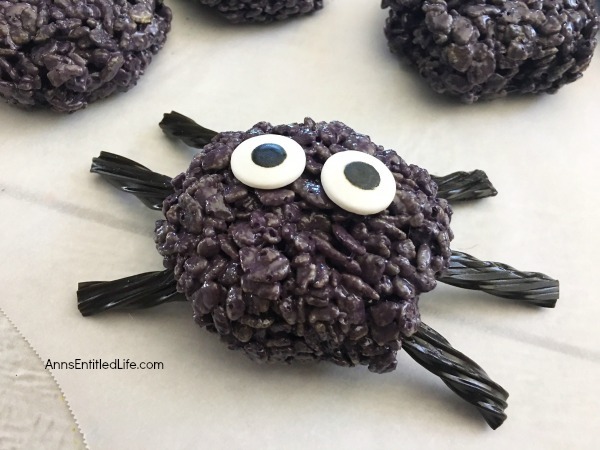 Easy to make, these Spider Cookies will be a big hit at your next Halloween party, packed in a school lunchbox, or as an afternoon treat. • Mummy Cookies Recipe – These adorable Mummy Cookies are a spooktacular Halloween treat! Great for Halloween parties, lunch boxes, dessert or an afternoon treat, your entire family will enjoy these tasty cookies! 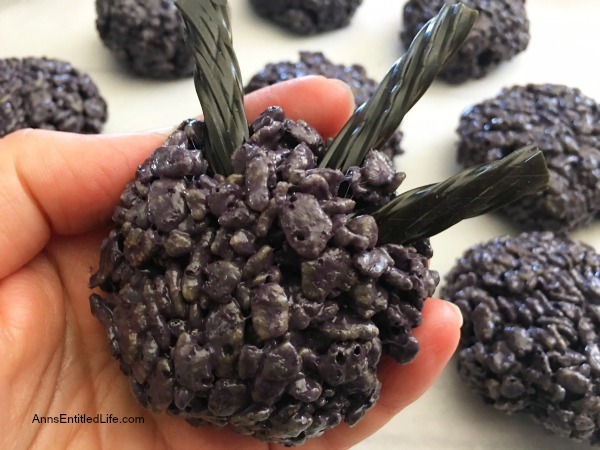 • Spider Cookies Recipe – These fun and spooky Spider Cookies are delicious Halloween treats all your little ghosts and goblins will enjoy. 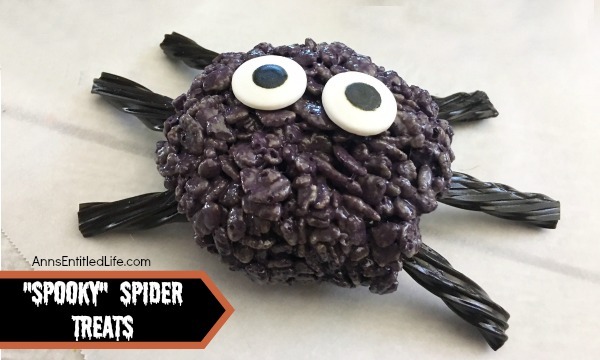 Easy to make, these Spider Cookies will be a big hit at your next Halloween party, packed in a school lunchbox, or as an afternoon treat. 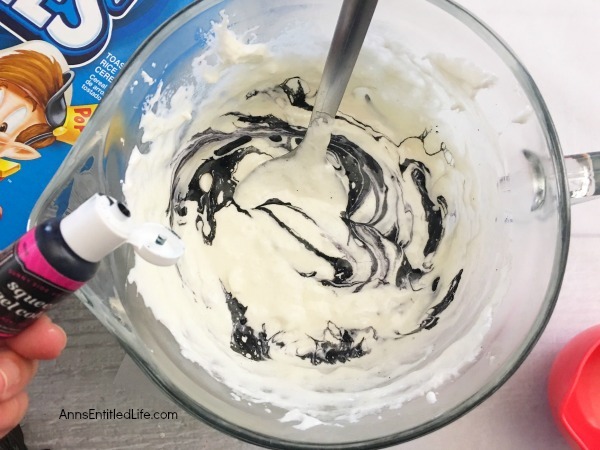 • Easy Halloween S’mores Recipe – You do not need a campfire to get the great taste of S’mores. Make these delicious Halloween S’mores in your kitchen in about 10 minutes.